Dr. Jay Greenstein is the CEO of the Sport and Spine Companies – Sport and Spine Rehab, a multi-location, multi-disciplinary, evidenced-based practice in the Washington DC Metro region; Sport and Spine Athletics, a state-of-the-art health and fitness facility; the Sport and Spine Rehab Clinical Research Foundation, a 501-c3 dedicated to high quality, clinical research; and Kaizenovation® Consulting which coaches businesses on Six Sigma, human capital management and the Entrepreneurial Operating System®. Dr. Greenstein has professional board positions at the state level as the President of the East Coast Associations’ Independent Physician Network, the national level as Vice Chair for the Council for Chiropractic Guidelines and Practice Parameters (CCGPP) and at the International level as a member of the research and finance commissions for the Federation of International Chiropractic Sport (FICS). Dr. Greenstein was Chiropractor of the Year for both the Maryland and Virginia Chiropractic Association’s in 2010 and won the Smart CEO Volt Award for Technology Implementer for the small business category. He was recently selected to the state of Maryland’s Governor’s Office of Health Care Reform to serve on the Essential Health Benefits Committee. Dr. Greenstein sits on multiple community and business advisory boards in healthcare, banking and information technology. Dr. Greenstein was also selected to be the Chef de Mission for the International Sports Chiropractic Association to run the Chiropractic Sports Center at the World Olympians Association Reunion Center at the 2008 Beijing Olympics. 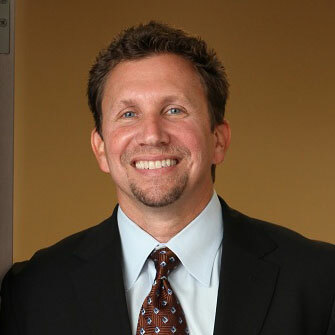 Additionally with his clinical practice Dr. Greenstein has served as a recommended provider for the National Football League Players Association for the Washington Redskins, and since 1997, has been the Official Team Chiropractor for the Washington Redskins Cheerleaders.